Condos are often known to be centrally located near major transit hubs -- but now an expansive new single home development will allow residents to be steps away from a subway station while also enjoying a luxurious lifestyle in a single family home. 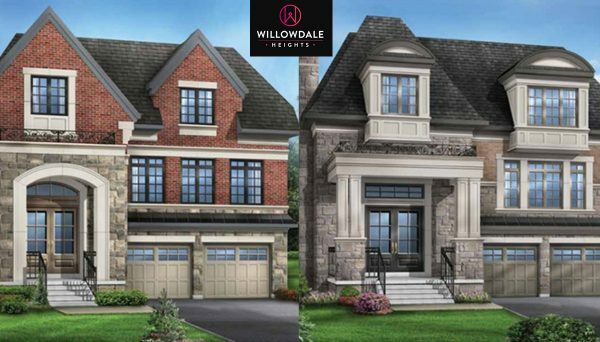 Willowdale Heights is a luxury home community coming to the North York neighbourhood of Willowdale. This development from LiVante Developments will occupy a cul de sac near the intersection at Cummer Avenue and Willowdale Avenue. Both business professionals starting a family and established family’s upsizing with older children are bound to be attracted to this development that promises such seamless access to public transit. The time to invest in Willowdale is now. This community of single family homes will consist of 14 detached dwellings located in a newly-created North York cul de sac. The homes will stand 11 meters-tall at two storeys, and have four bedrooms each. These new low-rise homes are now available for sale in seven distinct flora-themed models. At 3,435 square feet, the Sequoia is the smallest of all the models and is priced for sale at $2,599,900 whereas the Willow is the largest, measuring 4,178 square feet and costing $2,929,900. This luxurious set of residences is feature-packed with many unique design characteristics and high-end amenities. The residences will be built with exteriors made of materials that include genuine clay brick, Arriscraft stone, stucco, and vinyl siding with ornamental trim detail, a mix of materials that makes for a contemporary yet sophisticated look. Building facades will feature columns, arches, keystones and other fine detailing. The houses will be equipped with expansive Low E energy-efficient vinyl casement windows installed throughout the main and upper levels. Powered by a gas-forced air heating and cooling system, the home interiors will feature 10’-high ceilings on the main level and stairs made with a natural finish oak veneer. Bathrooms in each master ensuite will feature separate shower stalls with freestanding bathtub and elongated toilet. Kitchens will feature a flush breakfast bar and a central vacuum unit will be installed in each home. All bathrooms and kitchens will be equipped with single-lever MOEN faucets and granite countertops. All homes will come equipped with two-car garages and backyard space. Available upgrades (where applicable according to individual unit) include an additional bedroom, finished basement, multi-level elevator, wine room, skylight, coffered ceiling, uppers (laundry room), and simulated stonecast fireplace mantle. For a limited time, the developer is offering a special client bonus incentive package that includes: 40 potlights spread out throughout the entire unit, 5’’ engineered hardwood floors on main and upper levels, soft-closing kitchen cupboards and drawers, laminated roof shingles with limited lifetime warranty, and top of the line appliances that include a stainless steel Sub-Zero refrigerator, Wolf cooktop, stainless steel wall oven and microwave, and a Asko stainless steel dishwasher. The community’s unified aesthetic and elegant nature is both sophisticated and inviting, making for a promising community for families to engage in and create roots within. This development is minutes away from TTC’s terminal Line 1 station, Finch Station. Access to this station means residents will have access to clear routes throughout the GTA, as the terminal provides access to the subway, TTC buses, and York Region’s VIVA bus. Drivers will also enjoy living in the community bordered by Bayview to the east, Highway 401 to the south, as these main arteries will allow them to get anywhere for work. This massive scope opens opportunity for residents to seek jobs not only in the city, but northern centres like North York Centre, Markham and Richmond Hill. Although homes make up for 17% of sales in the neighbourhood, with more developments like this in the pipeline we expect the number of homes in the area to grow, increasing the community value. This is clearly an affluent region on the rise, boasting an average household income of 87,416. The region is currently home to 118,801 people, and that number promises to grow rapidly -- its population did after all see an increase of 8.3% between 2011 and 2016. 66% of its population are immigrants, with 86,435 of its population between the ages of 15 and 64. The largest portion of the population, 11,865, are between the ages of 25 and 29. The second largest portion, 10,895	, are between the ages of 30 to 34. There is no doubt that this is a development ideal for families establishing roots, and established growing families looking to upsize. The central neighbourhood is ideal for family growth, due to its proximity to well respected schools like Cardinal Carter, A. Y. Jackson Secondary School, and Earl Haig Secondary, all of which are highly regarded to extraordinary academic reputations. It is also worth mentioning that boasting such close proximity to Finch subway station, this is a great location for parents looking to be located in a place where their kids can attend post secondary while living at home and save money for after graduation. From Finch Station, students will be able to access some of the city’s most widely regarded universities like University of Toronto and Ryerson in roughly 30 minutes. Ryerson, for one, opened its doors to 36,347 students in 2015 alone, and that number continues to increase due to its renowned undergraduate programs for fields like engineering, business and journalism. Its business school, Ted Rogers School Of Business, is the number one undergraduate entrepreneurship course in all of Canada. This development is a luxurious community that’s minutes away from Midtown’s urban centres that are packed with opportunity for growing families and careers. It is the perfect place for permanent residence, to provide luxury and stability for professionals and their expanding families. This project is the perfect opportunity to invest in the emerging neighbourhood of Willowdale and the luxurious and central life it promises. 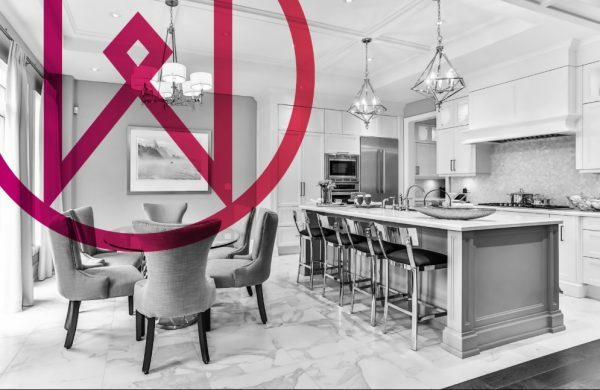 LiVante Developments is a Markham based development firm who has been building single family homes and townhomes since 2011. With their name meaning “live well,”it comes as little surprise that they focus on building quality homes with contemporary designs.